Shop.org’s Correspondents include top media influencers that cover the latest trends in retail, fashion, social media, technology, startups and much more. Follow these correspondents as they share their thoughts and experiences at #Shoporg17. Who knows? You may even discover someone new to follow on your favorite social platform! 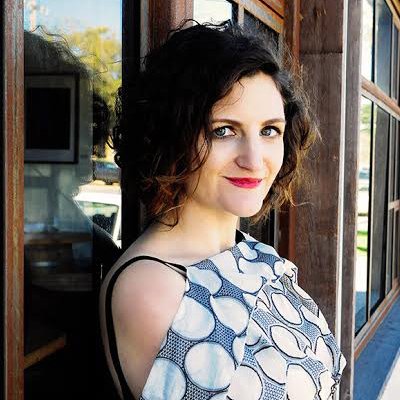 Jasmine Glasheen is a Writer and Generational Marketer for Retail Minded, as well as the primary writer for the Retail Minded Content Services Program. She is especially focused on helping traditional retailers understand the buying mindset of the modern customer. On top of Glasheen’s much-circulated biweekly column for Retail Minded, her insights have been quoted in both Forbes and RetailDive. She writes for Fiverr, Dor and A2R, as well as numerous other publications and service providers within the retail sphere. Learn more about Glasheen at RetailMinded.com. Nicole Leinbach Reyhle is the Founder and Publisher of RetailMinded.com, a well-respected industry publication that has been recognized worldwide for its leading retail insight. With a core concentration on independent retailers and small businesses, Reyhle is a frequent guest and contributor to various media outlets that include The Today Show, Forbes and countless B2B publications. Additionally, Reyhle has been the Spokesperson for American Express’s Small Business Saturday since 2014 and is the Author of the book “Retail 101: The Guide to Managing and Marketing Your Retail Business” from McGraw-Hill. Reyhle writes regularly for various industry resources that include Entrepreneur.com, Fiverr.com, Forbes and more, as well as is recognized as a retail futurist for IBM. Finally, Reyhle is also the Co-Founder of the Independent Retailer Conference. Learn more about Reyhle at RetailMinded.com. Nina Ojeda is a multi-time entrepreneur and founder of PRÊTE, the members only club to access the best blowouts and mani's in the city. Before launching PRÊTE, Nina founded and sold go-to-market agency, The Avenue West where she worked with some of the hottest startups in consumer tech. She is also a columnist for Inc Magazine where she writes about startups and trends. 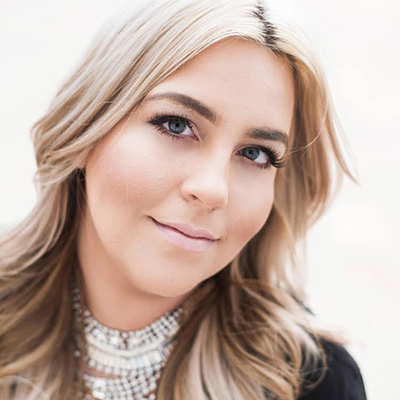 Jesse Draper is founding partner of Halogen Ventures as well as creator and host of 2015 Emmy nominated television series,“The Valley Girl Show”. Draper is a 4th generation venture capitalist focused on early stage investing in female founded consumer technology. 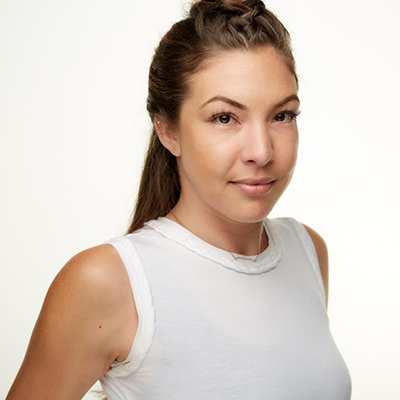 Her portfolio includes Laurel & Wolf, Carbon38, Naya Health, HopSkipDrive, The Flex Company & Sugarfina. Through her show she’s helped pioneer the way in digital media and has an initiative to interview 50% women in technology. Previously a Nickelodeon star, Draper has used her comedic talents to bring an approachable feel to the technology world, has produced and distributed over 300 interviews with some of the greatest minds in technology and beyond (including: Ted Turner, Mark Cuban, Sheryl Sandberg, Supreme Court Justice Sandra Day O’Connor, Jessica Alba, MC Hammer and Eric Schmidt) and was listed by Marie Claire magazine as one of the ‘50 Most Connected Women in America’. Elsa Stavig believes in living a life that is creative, purposeful, thoughtful, and fun. Being a busy professional with over 15 years of experience in building retail brands, Elsa has made it her quest for the best performance in life and in work. Her personal platform is a place where self/soul-care is celebrated and nurtured. Believing that we are all deserving of living a balanced and soulful lifestyle even in the busiest of times. 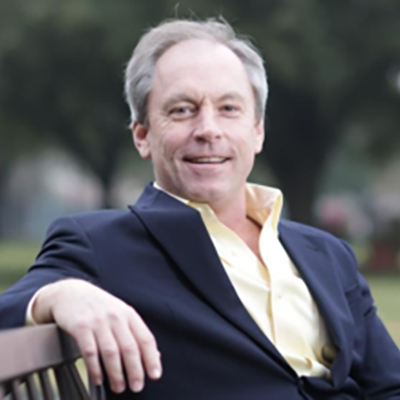 Since 1994, Bob Phibbs. CEO of The Retail Doctor, has been an internationally recognized motivational speaker, retail strategist, customer service expert, sales coach, and author of three books. His clients include some of the best retail brands in the world including Bernina, Brother, Caesars Palace, Hunter Douglas, Lego, Omega, Hearts on Fire, Husqvarna, Tommy Bahama, Vera Bradley and Yamaha. Named one of the top retail influencers of 2016, Phibbs is also an American Express merchant advisor and IBM retail futurist. Rich Kizer and Georganne Bender are professional speakers, authors and consultants who are experts on generational diversity, consumer trends, marketing and promotion, and everything retail. Kizer & Bender are contributors to MSNBC’s television program Your Business. 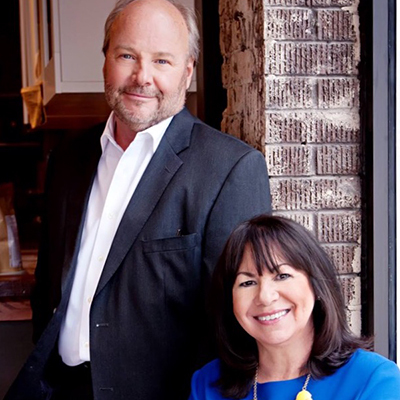 They made Meetings & Conventions Magazine's list of Meeting Planners Favorite Keynote Speakers, have been named two of Retailing's Most Influential People, are included in the Top 40 Omnichannel Retail Influencers, and have been listed among the Top 50 Retail Influencers since 2015. Their Retail Adventures blog was named the Top Retail Blog by PR Newswire Media, and has been included in the Top 25 Websites for Retailers, the Top 50 Retail Blogs and the 7 Best Retail Publications. Jennifer Chan is the Director of PR & Social Media for DERMAFLASH, a best-selling innovative skincare tool that removes peach fuzz and dead skin instantly. DERMAFLASH is currently sold at SEPHORA, Nordstrom, QVC, Neiman Marcus, ULTA and more; with a celebrity-endorsed infomercial with Guthy-Renker currently in development for 2018 broadcast. Prior to that, Jennifer had a robust career as a fashion and beauty editor, style expert and on-air host in LA and New York and has worked for leading media outlets including E! Online, InStyle.com, WWD, Fashionista.com, The Daily and Real Simple Magazine, among others. She was most notably Senior Editor to both Kim Kardashian West and Kourtney Kardashian, and served on the launch team of the celebrity sisters' s web sites and mobile apps. A true pioneer in the blogging world, Jennifer first launched her style blog (The Fabulous File) in 2007 and recently rebranded it (Jenn Chan Glam) in 2016. 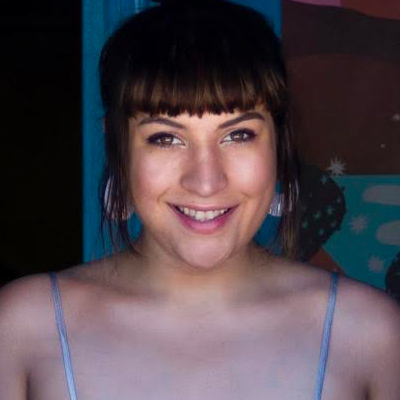 Nicola is a freelance writer and editor based in Los Angeles covering the intersection of consumer culture and pop culture. Her work has been published by New York Magazine's The Cut, Hearst Digital Media, The Verge, Racked, Fashionista, Refinery 29, and more. Additionally she has served as a guest curator for the industry newsletter FashionREDEF, has appeared as a commentator on BBC Radio 1, and has earned a following for her fashion-tech commentary on the top-ranking tech podcast The Vergecast. Rachel McCord is a model (featured in: Vogue, Glamour, etc. ), star and producer of the Rachel McCord Show: From Trailer Parks to Red Carpets, speaker (UCLA, Share.Like.Buy, etc. ), and philanthropist. Passionate about leveraging emergent media platforms to help talent, like herself, accomplish their dreams, she works tirelessly to inspire others that no matter where you come from, you can live a fabulous life to the full. As a “serial entrepreneur” based in Hollywood, she collaborates with, advises, and encourages her network of fellow talent, celebrities, bloggers, and influencers on all things branding, social media and Hollywood. She is frequently featured by some of the biggest outlets in the world (TMZ, Radar, Star, Daily Mail, etc.) and currently resides in West Hollywood with husband and business partner, Rick Schirmer who has produced over 200 marketing campaigns for enterprises like Friends, Disney, Wal-Mart, The Hangover, Purge, Harry Potter, The Chronicles of Narnia, etc. Rossana blogs about retail, fashion, beauty, lifestyle and travel, where she shares her love for these topics with a unique and eclectic point of view. 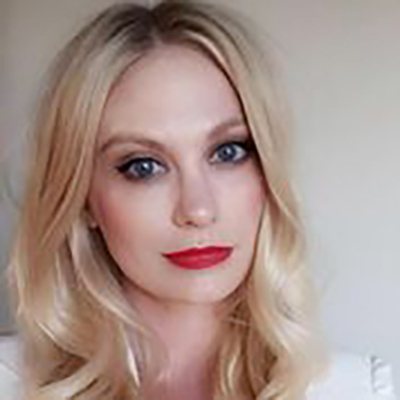 Alexa Binns is a retail and marketing expert with a talent for spotting the latest trends and technology. As the CEO of the retail consultancy Borden Binns, Alexa identifies innovative new consumer products and supports the entrepreneurs behind them -- providing strategy, financing, and distribution. Borden Binns specializes in business that give back. Previously, Alexa helped launch the social enterprise Cheeky which sold 5 million units and donated 5 million meals in its first year. Alexa has a track record as an early-stage investor focused on consumer goods and as a strategic advisor for SaaS marketing companies. She graduated Phi Beta Kappa from Stanford and received her MBA from UCLA Anderson. Crosby Noricks is the founder and director of PR Couture, the leading sourcebook for fashion and lifestyle communicators. Noricks put fashion public relations on the map when she launched PR Couture in 2006. Her vision, accessibility, and expertise have allowed her to connect and educate brands and professionals all over the country. 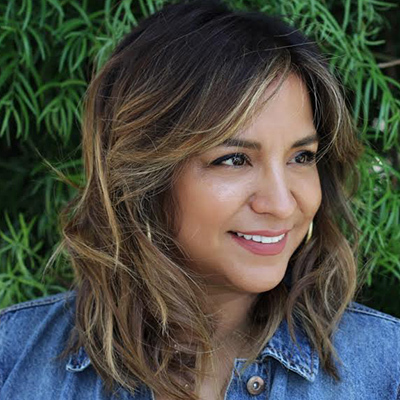 She is the author of Ready to Launch: The PR Couture Guide to Breaking into Fashion PR and teaches at San Diego State University in the Journalism and Media Studies department. 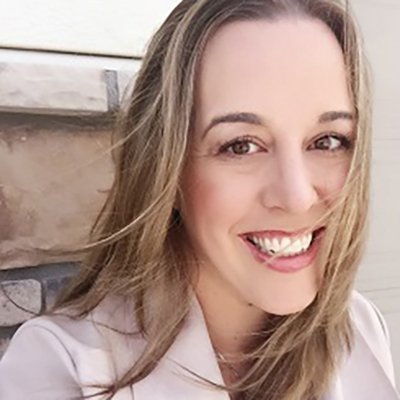 Her successful digital and traditional marketing track record include leading both in-house and large agency teams where she got to spearhead the social and digital footprint for brands like Charlotte Russe, Creative Nail Design (CND) and Sutter Home. 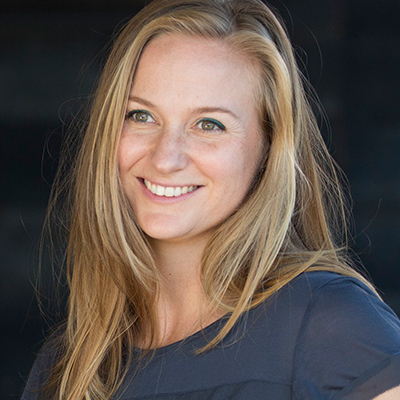 Jennifer Jaden is the Founder of Societygal.org, a community of over 50,000+ female entrepreneurs. She works closely with many other industry leaders and has nearly a decade of experience in business, marketing and social media she teaches others how to build successful and profitable businesses online. She runs a coaching practice where she works one-on-one with other entrepreneurs and has courses and group programs to train others who are wanting to grow their business. Heidi Nazarudin is the Blogger-in-Chief at the award-winning blog TheAmbitionista.com and has over 750,000 followers on social media. She has appeared in countless US and international media such as Vanity Fair, Marie Claire, Fast Co, Huffington Post and has graced numerous magazine covers including Marie Claire. Apart from her blog she also owns Marque Media - an international branding , social media management and influencer campaign outreach company. Quickly making a name for herself by her ability to push brands to the next level in the ever-changing media landscape, Alyssa founded RIOT Media Group out of a passion for brand storytelling and relationship building. From working with fortune 500 companies to start-ups, the diversity has allowed Alyssa to develop key relationships with top tier media, influencers, thought leaders, industry experts and celebrities, catapulting RIOT into a leading agency for the digital age. Kristen is a fashion and lifestyle influencer whose aim is to inspire her readers to find the romance in everyday life through fashion, beauty and travel. Her blog, Style Wax Poetic, has garnered interest from well respected brands such as Bloomingdales, Marc Jacobs Beauty, Derek Lam, Target, Creative Recreation, Banana Republic, True Religion, Beauty Counter, Creative Recreation, Dermalogica, La Mer, DSTLD, Target, Starbucks and many more. Kristen has a passion for digital media, photography, style and hopes to inspire her readers by offering them new finds that enrich their daily lives. Rick Schirmer helps entrepreneurs, filmmakers and business leaders launch through LaunchPreneur's Go-To-Market Strategy developed by launching over 200 award-winning engagement campaigns over the past 17 years for brands like Chick-fil-A, Disney, Universal Studios, LionsGate, P&G, Coca-Cola, Harry Potter, Toy Story, The Chronicles of Narnia, The Purge, The Cove, Food, Inc. and more. The influencer platform he founded in 2009 (and acquired in 2014), PartnersHub, was one of the first influencer marketing platforms in the world. His latest venture, LaunchPreneur, helps brands build Champion Influence by adopting LaunchPreneur’s GTM Strategy - which minimizes marketing spend and maximizes engagement results and sales through a three step process. Prior to his entrepreneurial ventures, Rick began his career at The Walt Disney Company's Corporate Alliances group and Disney/Pixar studios. There, he learned the power of partnership and leveraging the influence of others to launch brands.